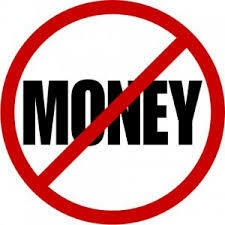 Concrete driveways are attractive and slip resistant and a very good choice for a driveway in Denver CO. Concrete driveways have a ridged texture and rough surface, which is important during the winter with our icy conditions. Stone Creek hardscapes & Design can create broom finish driveways that will more than meet your requirements for both safety and style. Here is what you need to know about broom finish driveways in Denver. Concrete driveways when installed correctly will prevent slipping and falling during wet rainy weather as well as cold icy conditions. Concretes textured finish is done with broom bristles, to give the concrete surface its grooves or ridges. This boomed concrete surface will hold or help grip car tires and shoes, giving you excellent traction and stability while driving or walking. You can get creative with the final look and design of concrete. Stone Creek hardscapes skilled concrete finishers can do really decorative finishes on the surface of the concrete. Decorative concrete patterns create great visual appeal with the surface of concrete driveways. To enhance your broom finish driveway, you can also use colored concrete, which comes in many beautiful colors. 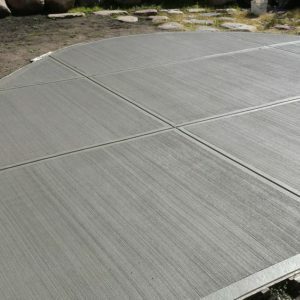 Concrete driveways in Denver can vary from 4 inches to 6 inches thick. The concrete strength is usually 3000 PSI (pounds per square Inch) or 4000 PSI. This will depend on the weight of the cars and trucks that will be using the driveway. 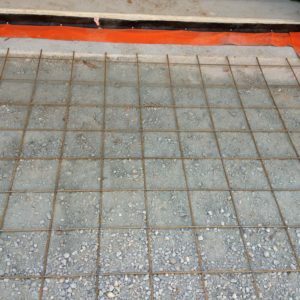 If cracking and sinking concrete has been a problem, we’ll suggest adding steel rebar to the driveway. The rebar is usually #4 rebar on 24 inch centers or #5 rebar on 12 inch centers which will greatly strengthen the concrete by giving it tensile strength. This will help to resist sinking and cracking. Additional rebar is almost always needed in Denver. This will ensure that your concrete will not heave during our cold winter conditions. We will also use wire mesh or fiber mesh which is put into the concrete at the concrete plant. It is generally considered to be more effective than wire mesh because the fibers in the concrete hold it together all through the mix. It’s not uncommon for wire mesh to sink down in the bottom of the concrete, which will render it useless for structural purposes. 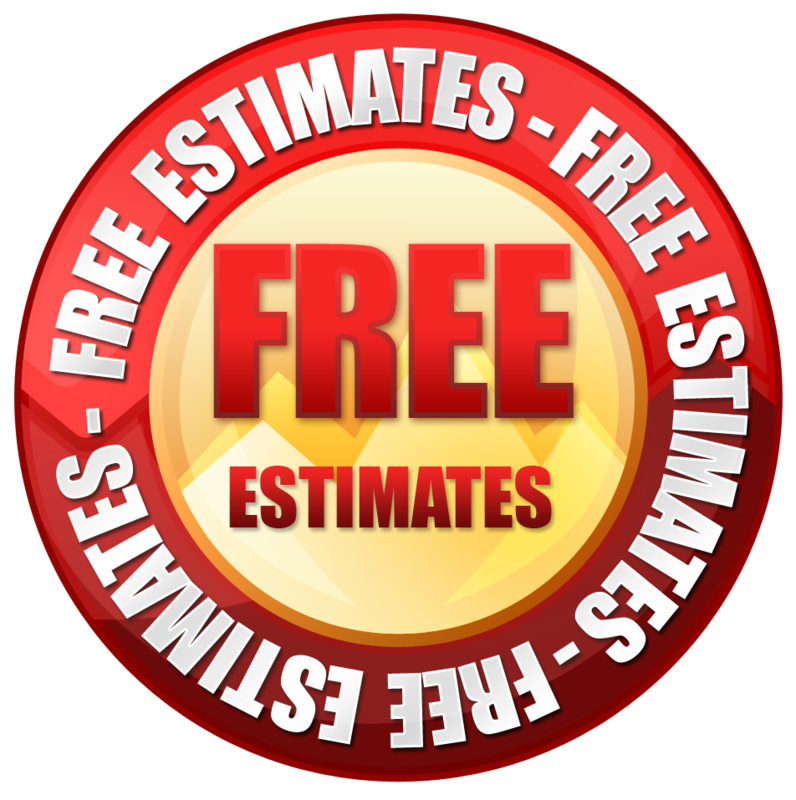 Our expert designers will go over all of these important details when we meet with you to evaluate your needs and give you a free estimate for your broom finished driveway. Our professional concrete finishers will create a broom finish driveway that is beautiful and functional for your home. Call Stone creek hardscapes at 303. 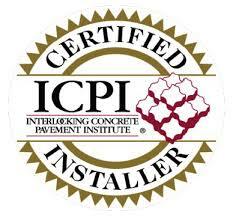 669.1801 in Denver for a Free bid and Consultation for a Concrete Driveway for your home.